This darling You are Wander-Ful Harry Potter Valentine brings together two of my favorite things, Valentines and Harry Potter. Just print and cut the valentine out to have a fun card for your child’s class parties. You can also add a wand, read below for both homemade and store bought wands options. 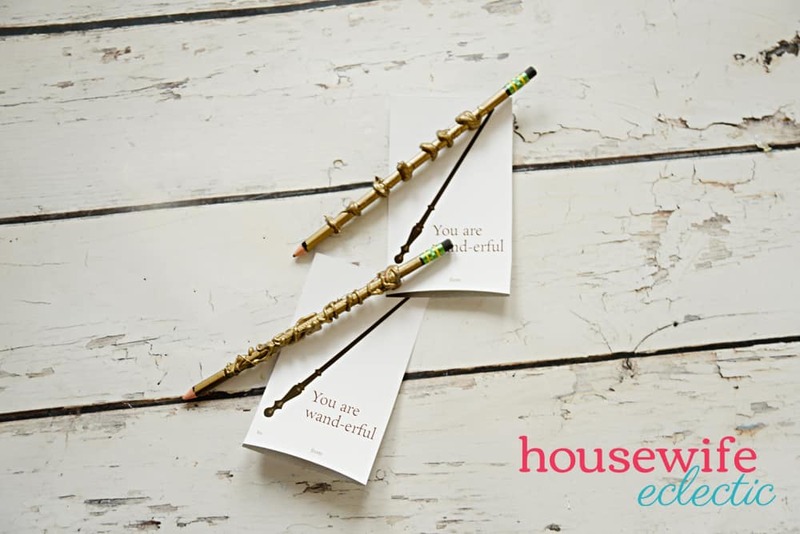 Use the hot glue to make designs all over the pencils, avoiding the eraser and lead. If you let the pencil dry for a couple minutes between adding the glue you will be able to build on the glue to create some really awesome designs. Take masking tape and cover the eraser and the point of the pencil. 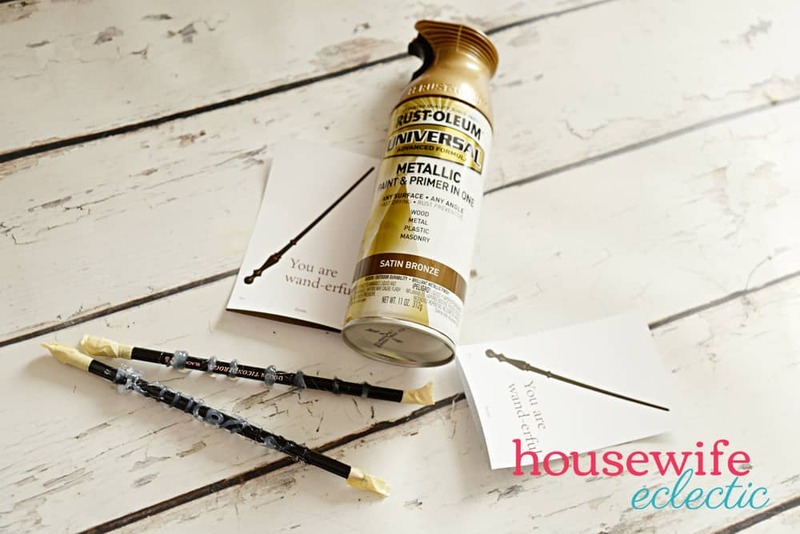 Spray paint the pencils with a gold, brown or bronze paint. Allow the paint to dry and unwrap the eraser and tip. 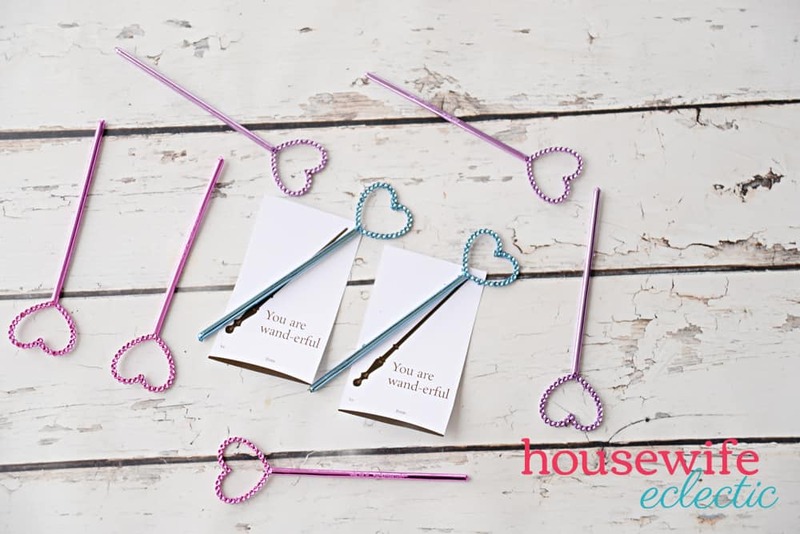 Attach the wand pencils to your valentine’s using twine or tape. If making wands is more than you have time for, Oriental Trading has some fun sparkly wands you can grab instead. When Oriental Trading sent these to me, my girls both squealed with delight! Which type of wands would you use? What a cute and fun way to decorate a valentines day card. The kids of all ages would love to receive this fun card. I just love this! Perfect for Harry Potter families. I don’t understand anything Harry Potter, but my daughter does! It’s perfect for Harry Potter fans! I really like how creative you are and how this wand turned out! So accurate and cool! Any kid would love to get one. We love any and all things Harry Potter! I think I’d stick with the pencil wands, just because they look more like a wand, as opposed to the heart on top. This is so cute! My son was Harry Potter for Halloween. I’m sure he’d think these were really cute to give his friends at school. 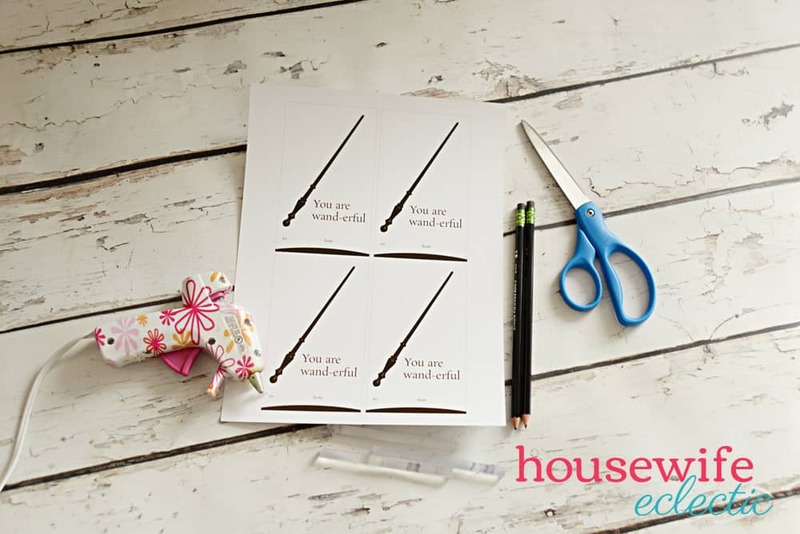 This looks like a super cute Valentine idea.This is perfect for kids who love Harry Potter. 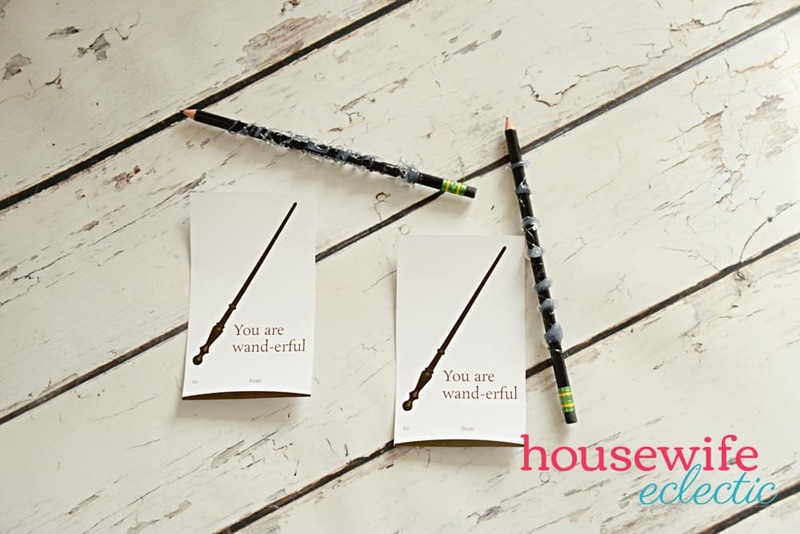 These Harry Potter Valentines are adorable for Harry Potter Fans! My son would love these. I love Harry Potter, it’s one of my favorites! This is a cute craft and perfect for school age children. 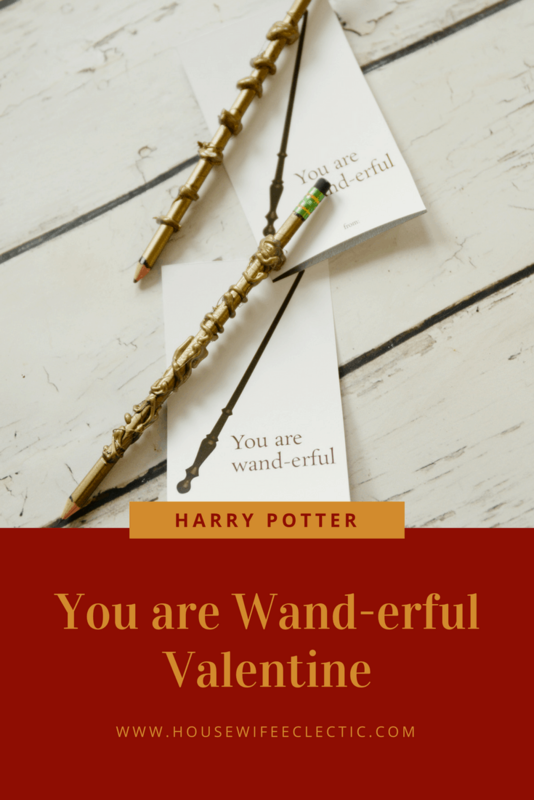 This would be a fun DIY Valentine for my kids and Harry Potter fans. I enjoyed all Harry Potter movies, fun stories! 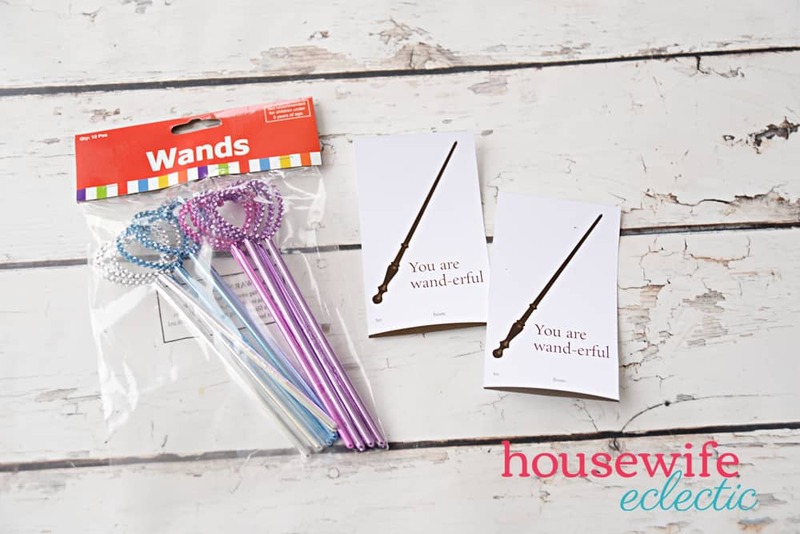 This is so cute and romantic too.I love the tiny wands. They look so nice on the small cards. Oh my goodness! I am in love with this, I am such a huge Harry Potter fan and this is such a sweet Valentine idea to give to any fan. My kids are really into Harry Potter. They’d love to receive these Valentines! If my wife didn’t already have Valentines planned out for them to give out we’d probably have done this ourselves. This is such a cute card idea! I really love those pens. My boy would love this card. I think I will show him how to make these! This is a really awesome idea for a Valentine’s gift for Harry Potter Fans. My friend at work will be all over this. I will try and make this for her. She’s going to be so happy! Ahhhh!! As a HUGE HP fan I am LOVING these Valentine’s!! Great job!! That is so stinking adorable! I love it, and if we had the kids for valentine’s I’d totally do these.